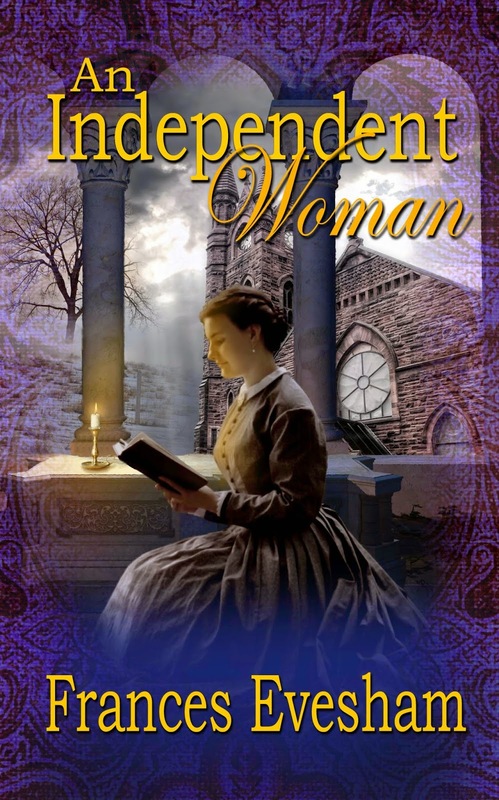 With nothing left from her childhood except a tiny portrait of a beautiful woman, some skill with a needle, and the knowledge of a dreadful secret, Philomena escapes her tormentor, Joseph, and the dank fogs of Victorian London, only for a train crash to interrupt her quest for independence and freedom. Trapped between the upstairs and downstairs occupants of a great country house, Philomena hears whispers of the mysteries and lies that lurk in empty corridors and behind closed doors. Her rescuer, the dangerous, enigmatic Hugh, Lord Thatcham, wrestles with his own demons and makes Philomena’s heart race, but she must fight her passion for she can never marry. Haunted by her past, Philomena’s only hope of happiness is to confront the evil forces that threaten to destroy her. I'm always dubious when authors send me their books in exchange for a review. I value my reading time, and absolutely loathe wasting it on books I don't enjoy. I began An Independent Woman with the same trepidation I would with any unknown author, and I have come away absolutely enchanted. The story begins with our protagonist, Philomena, fleeing her life in London. Brought up by a guardian, she experiences an awful time, after his death, at the hands of his son. She decides to run away and start her own living, dresses as a boy, and boards a train for Bristol. The train derails and Philomena is found by Lord Thatcham, brought into his home, and discovered to be female shortly afterwards. To give any more of the plot away at this juncture would be an unkindness. My above summary is even an unkindness to Eavesham. The plot is intricately weaved, and peppered with mysteries. We learn of a terrible part of Philomena's past which we know will come back to haunt her before the story is over. We're slowly drip-fed the tale of Lord Thatcham's late wife, and the strange circumstances surrounding her death. The clever way Eavesham weaves both the mysteries and the clues into the plot is effortless, and I was utterly gripped. The pace was excellent; no excess detail, no confusion, and everything happened at exactly the right time to keep the plot moving and the reader engaged. Philomena is a wonderful character; far removed from the simpering Victorian heroines we often come across. She falls, without immediate explanation, somewhere in between the working class and the aristocracy. She's intelligent, educated, and will resolutely disagree with men should she feel inclined to. She runs from London to making a living: to start her own business. She's resourceful and a survivor; although we see her make poor decisions, we also see her repenting these and understanding her own reasoning. She's wonderful. Each of the characters were perfectly characterised, from Lord Thatcham's feelings of duty in contrast to his feelings of desire, John's mischievous way of widening his eyes and coaxing some bread and honey from the servants, to even Joseph's disgusting lecherous winking and gag-inducing long greasy hair. I particularly loved Selena, Lord Thatcham's sister, who, although, materialistic and giggly on the surface, revealed herself to be more forward thinking than I ever could have imagined. As always with novels set in Victorian times, it's interesting to read of the social connotations of the day. Eavesham has clearly done her research (or perhaps read one too many Austens) and focuses on the idea of a woman being her husband's property. I was also interested to read of the workings of the house (servants downstairs and masters upstairs), the differences in clothing and colloquialisms between the rich and the poor, and most of all the strict expectations that fell on women in that era. I want to thank Ms Eavesham for sending this to me; it was exactly what I needed, and I loved every single moment. I have now bought the second novel and will begin this immediately as I can't bring myself to leave Thatcham Hall just yet, although I understand there will be no Philomena in this one. I can't wait. Thank you.